The authenticity of a press pass and the ability to verify its authenticity are crucial for a journalist´s everyday work. USPA offers continuously improving safety features of the highest standard, making every press pass it issues unforgeable. The following provides important information about safety features and the verification process. Who is given access credentials? Access credentials are provided to government agencies, organizations or companies on request, usually via online verification, from the national headquarters. Having a central register allows you to find out whether the person making an inquiry is a certified journalist. If your organization or agency is presented a USPA press pass by a journalist, you can be assured that you are dealing with a professional journalist who abides by the ethical code of conduct of the United States Corporate Governance Code. 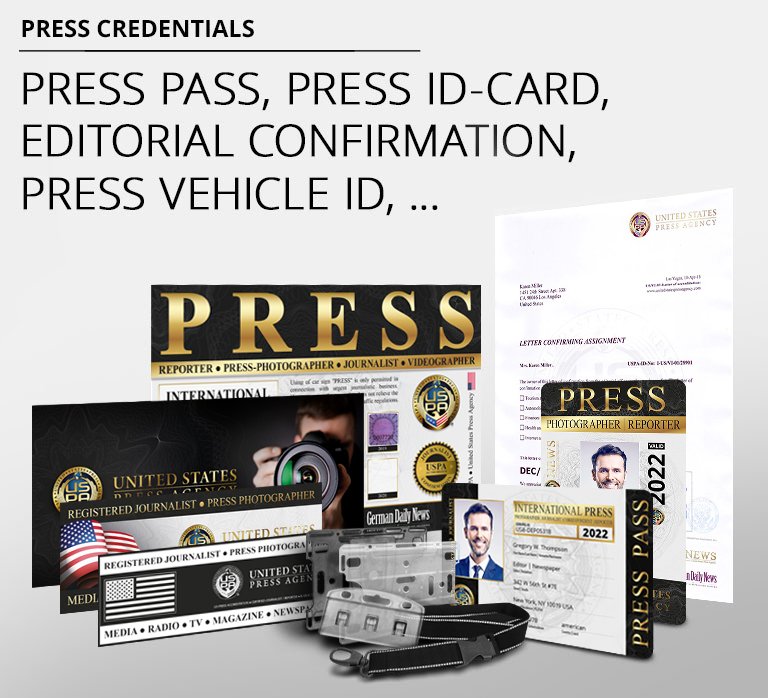 For police officers overseeing security at an accident site or other hazardous scene, a USPA press pass provides assurance that the journalist will act in a professional and conscientious way. Depending on the emergency situation, there may not be time for complicated accreditation procedures. Instead, the press pass becomes proof of legitimate journalistic activity. With us, you don´t have to worry about forged press passes. Our press passes come as a plastic card featuring a hologram, color gradient and a printing technique that is hard to copy. This makes the unauthorized recreation of one of our press passes nearly impossible. To further increase security for the police and official agencies, our press passes are only issued for one calendar year at a time. When it comes to dealing with safety data, USPA operates under the principles of the German Corporate Governance Code. The code is designed to regulate ethical conduct in professional settings, e.g. the relationship between journalists and organizations. The code also plays an important role in the free economy, where it regulates safety-related and other procedures within organizations or businesses to make them more transparent.